Land application of manure in regions with intense confined livestock and poultry production is an environmental concern when land is limiting because it promotes soil phosphorus (P) surplus and potential pollution of water resources. A net accumulation of soil P results from the disproportion between lower nitrogen (N) and P ratio (N:P) in animal manure and the higher N:P ratio in harvested crops. Although manure can be moved off the farm, its transportation becomes less economical with increasing distances from the source. Thus, management alternatives to land application are needed to resolve agronomic P imbalances for more effective recycling of manure P.
A treatment process, called “quick wash”, was developed for extraction and recovery of P from poultry litter and animal manure solids. In the quick wash process, P is selectively extracted from solid manure or poultry litter by using mineral or organic acid solutions. Following, P is recovered by addition of liquid lime and an organic poly-electrolyte to the liquid extract to form a calcium-containing P precipitate. The quick wash process generates two products: 1) washed solid residue, and 2) concentrated recovered P material. The quick wash process selectively removes up to 80 % of the phosphorus from manure solids while leaving most of the nitrogen in the washed litter residue. Consequently, the washed solid residue has a more balanced N:P ratio for crop production and environmentally safe for land application. 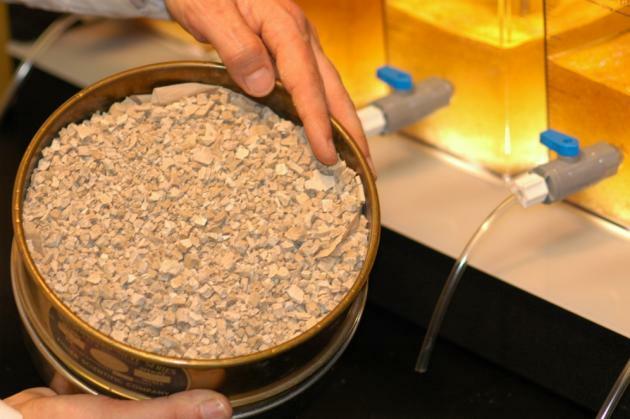 The concentrated P recovered materials contained more than 90% of its phosphorus in plant available form. 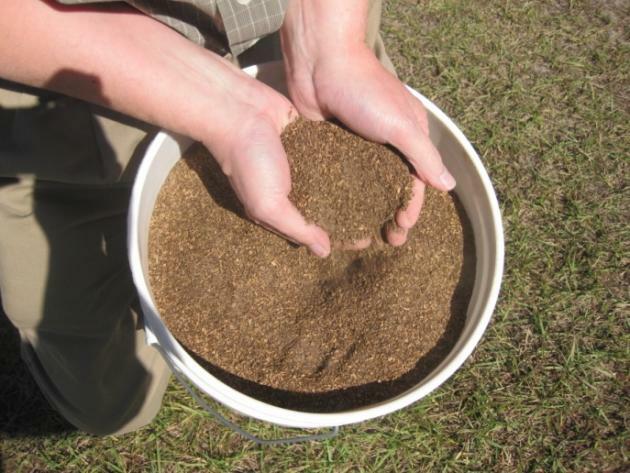 The use of recovered P can provide a recycled P source for use as crop fertilizer while minimizing manure P losses into the environment from confined animal production. USDA granted an exclusive license of the invention to Renewable Nutrients, LLC (Pinehurst, NC); a centralized plant for treating poultry litter is planned to be built and operated by Renewable Nutrients in the Mid-Atlantic region. Ariel A. Szogi, Matias B. Vanotti, Patrick G. Hunt – USDA-ARS Coastal Plains Soil, Water, and Plant Rsearch Center, Florence, SC. Szogi, A.A., Vanotti, M.B., Hunt, P.G., 2008. Process for removing and recovering phosphorus from animal waste. U.S. Patent and Trademark Office Application Serial No. 12/026,346. Szogi, A.A., Vanotti, M.B., and Hunt, P.G. 2008. Phosphorus recovery from poultry litter. Trans. ASABE 51(5):1727-1734. Szogi, A.A. and Vanotti, M.B., 2009. Prospects for phosphorus recovery from poultry litter. Bioresour. Technol. 100(22):5461-5465. Szogi, A.A., Bauer, P.J., and Vanotti, M.B. Fertilizer effectiveness of phosphorus recovered from broiler litter. Agron. J. 102(2):723-727. 2010.